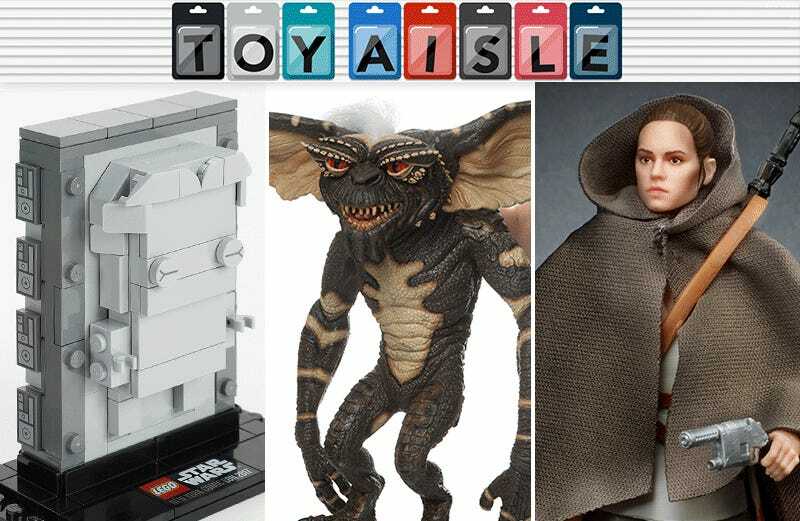 Welcome back to Toy Aisle, io9's regular weekly roundup of all the toys you’ll want to blow your paycheck on, instead of buying groceries, paying rent, or other more responsible purchases. This week we’ve got an Imperial entry in Sphero’s line of interactive droids, a cartoon version of Boba Fett, and a bunch of New York Comic Con exclusives. Check it out! New York Comic Con got under way yesterday in the Big Apple, and being lucky enough to attend the show isn’t quite enough to grab this NYCC-exclusive Lego BrickHeadz double-pack. The 329-piece, $40 set is only available to New York Comic Con attendees who win a pre-show lottery, and then are able to find Lego’s mobile experience truck. (Hint: It’s probably parked right outside the convention center.) Non-winners will still be able to purchase other BrickHeadz sets at the show, but why bother? Speaking of New York Comic Con, Hasbro had a few more reveals up its sleeve for the 6" Marvel Legends line of action figures. A few we knew were coming, like the new Mister Fantastic (far-right, complete with elongated arms!) and Shi’ar warrior Gladiator (far-left), but also on the way, from left to right, there’s Prowler, minor X-Men member Multiple Man, the classic version of Taskmaster, and Spider-Man Noir. All these figures are expected to be released in early months of 2018. As much as R2-Q5 looks like R2-D2, the black and orange astromech droid is actually Artoo’s evil doppelgänger. Instead of helping the rebellion, he works for the Empire, serving as a spy, mechanic, and all-around hench-bot. Given the chance, he’d happily push C3PO down the stairs, so maybe he’s not all bad? If you prefer your droids to serve the dark side, Sphero’s R2-D2 now comes in a gloriously glossy R2-Q5 alternative, and will initially be available at the company’s New York Comic Con booth, in limited quantities, for $200. The galaxy far, far away also stopped by New York Comic Con to reveal even more toys from The Last Jedi and beyond due for release early next year, after the latest movie finally hits theaters this December. Up top are new entries in the 3.75-inch “Force Link” figures, including Finn disguised as a First Order officer and Captain Phasma with her new spear from The Last Jedi, alongside Maz Kanata and ill-fated X-Wing pilot Ello Asty from The Force Awakens. Meanwhile, the next wave of the 6-inch Black Series line will mark the arrival of a new kind of paint application for the figure’s faces—technology already used in Hasbro’s Marvel figures—to give them even more accurate and detailed likenesses. 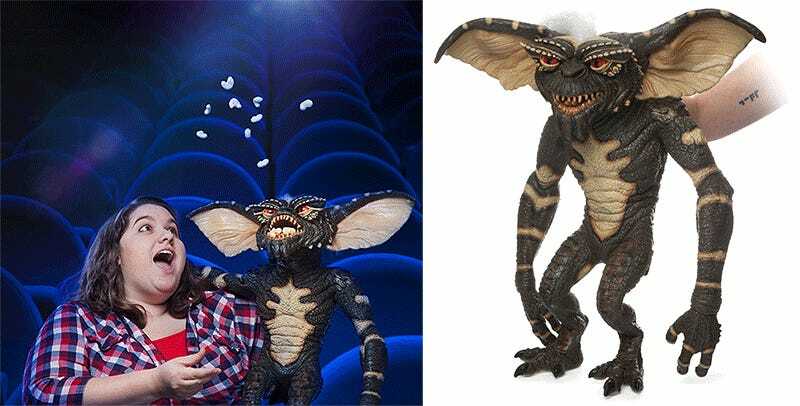 Both Rey and Benicio del Toro’s mysterious slicer D.J. from The Last Jedi will be part of the first wave with the new improvements, alongside a trio of classic original trilogy characters: Lando Calrissian in his Return of the Jedi palace guard disguise, and two bounty hunters from the motley crew shown in Empire Strikes Back, 4-LOM (far-left) and Dengar (far-right).